A noter également que toutes les versions demo sans les i-three sont mieux !! 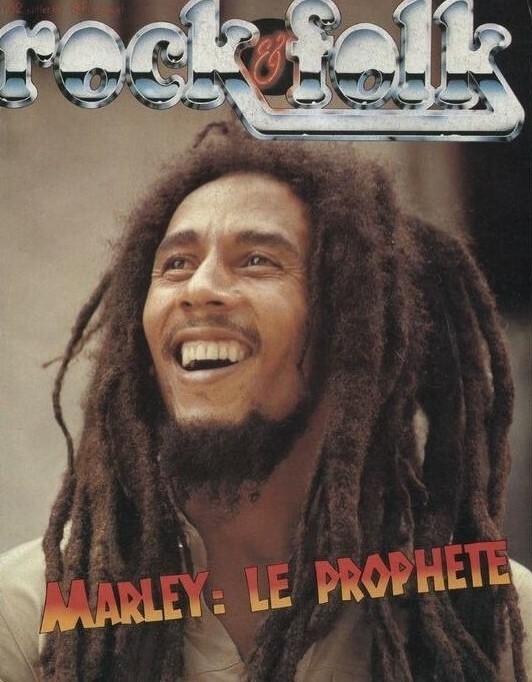 Presque 300Go de Bob Marley en qualité Lossless !!! Version alternate qui déchire !!! OMG !!! De bon matin... Prends ta claque en plein gueule !!! Le trio magique devait se reformer... Sniff ! Avant la sortie de son album "Stony Hill" en octobre, FIP diffuse le live du Jamaïcain Damian “Jr. Gong” Marley, enregistré au Summerjan Festival 2015. Lost recordings by Bob Marley found in a damp hotel basement in London after more than 40 years have been restored. The tapes are the original, high-quality live recordings of the reggae legend's concerts in London and Paris between 1974 and 1978. Tracks include No Woman No Cry, Jamming and Exodus. They were at first believed to be ruined beyond repair, largely because of water damage. Marley, who died in 1981, would have been 72 on Monday. The tapes were found in a run-down hotel in Kensal Rise, north-west London, where Bob Marley and the Wailers stayed during their European tours in the mid-1970s. They were discovered when Joe Gatt, a Marley fan and London businessman, took a phone call from a friend, who had found them while doing a building refuse clearance. From the 13 reel-to-reel analogue master tapes, 10 were fully restored, two were blank and one was beyond repair. Work lasted one year and cost £25,000 ($31,200). "They were (in an) appalling (condition)... I wasn't too hopeful," Martin Nichols, a sound engineer at the White House Studios in the west of England, told the BBC. The recordings are from concerts at the Lyceum in London (1975), the Hammersmith Odeon (1976), the Rainbow, also in London (1977), and the Pavilion de Paris (1978). Hammersmith 76... Trop dla balle... ! Le release qui circule est trop pourrave... ! Lyceum 75... c'est l'album LIVE si jdis pas de conneries... mais en entier ce coup çi !!! allez .... pour t'emmerder ; ça m'a manqué ! du californien pur jus ! ça t'emmerde , hein ? Aujourd'hui, j'ai un peu plus de mal avec la voix de Harrisson Stafford... Mais ça va... Certains l'ont en horreur !! 7 jours de disponibilité sur l'hébergeur... ! Tuerie de Selecta... Made by Gillou !! Ce serait le rêve qu'une énième demo soit découverte... !! La réponse est simple... ! Voici, un autre enregistrement, plus rare, plus abouti... !